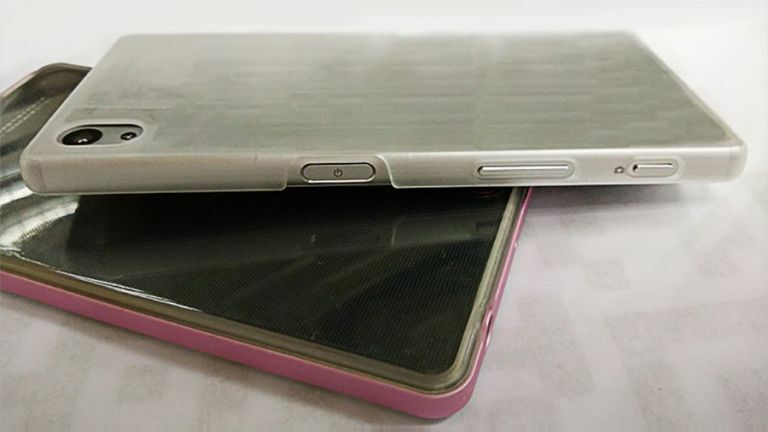 Is this the Sony flagship we’ve been waiting for? Sony has struggled of late to craft a phone worth shouting about, but we're hoping its next flagship handset can buck the trend. And we've just got our best look yet at said phone; the Xperia Z5. A new batch of images purporting to show a dummy unit have hit the web, courtesy of the oft-reliable Nowherelese.fr. Let's go through the talking points. Firstly, it's quite clear that Sony has opted against going for a new look, instead settling for the same old Sony design we saw on the Xperia Z3 and Xperia Z4. It also notably lacks the new USB-C connection that's cropping up on many new phones, sporting a standard micro USB port in its place. The power button seems to have increased in size, so we may well finally get a fingerprint scanner on an Xperia handset. Hallelujah. It shouldn't be too long until we see the real deal. The Xperia Z5 is expected to be unveiled at IFA 2015 alongside the Xperia Z5 Compact and maybe even the Xperia Z5+ that we saw last week. Roll on September, because we're itching to see if Sony can return to former glory. The Xperia Z4 (aka the Z3+) was better than the Z3, but only just. Sony needs to knock it out of the park and bring something new to the table in order to pose a serious threat to other looming phones like the iPhone 6S and the new Nexus.